El español E. Álvarez Aznar / ROCKFELLER hace 4 puntos (19º). GP de 43 participantes, 7 sin falta, 3 sin penalidad en el desempate, montante 300.000€ (99.000 el ganador), diseño del alemán Frankl Rohtenberger. 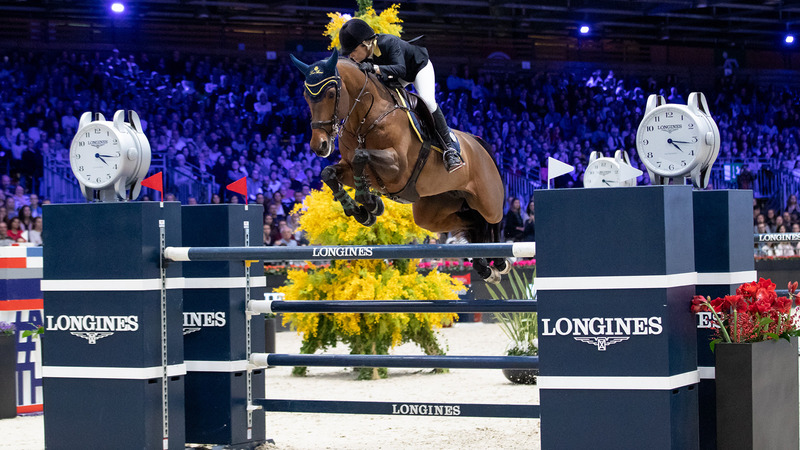 LONGINES GRAND PRIX OF PARIS: EDWINA THE FIRST! This afternoon all eyes were on the Longines Grand Prix of Paris, the most anticipated class of the show. 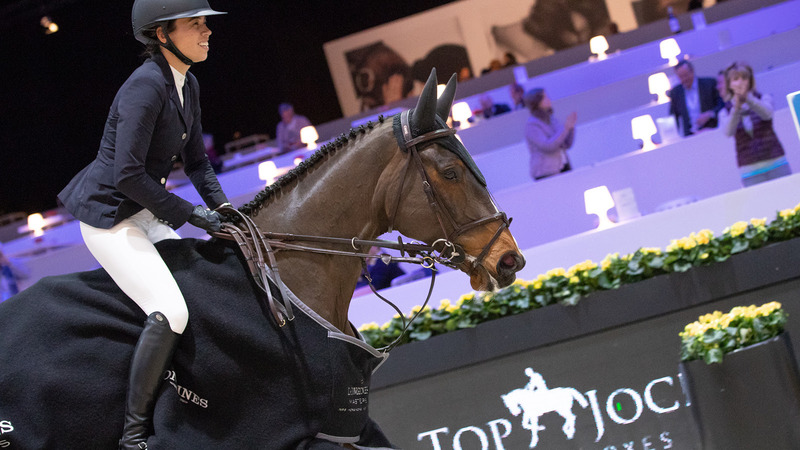 In front of a wild crowd, Australia's Edwina Tops-Alexander put down the best performance to win the very difficult Grand Prix in style, ahead of Italy's Alberto Zorzi and Ireland's Denis Lynch. After the class, Longines once more showed its support to charity JustWorld International through the "Longines Clear the Jump" which took place during the Longines Grand Prix. For the occasion, the equivalent of 200 meals were given each time a rider and horse combination cleared the Longines jump. A total of 5 000 meals will be distributed to children in need across the world thanks to this donation from Longines. Luck was on Tony Cadet’s side today in the 1.45m Land Rover Grand Prix. Partnered with Tolede de Mescan, he posted a perfect jump-off and stayed out of reach of his rivals! Qatar's Bassem Mohammed is second, followed by France's Olivier Guillon who is in top form this weekend. MASTERS THREE: BRITAIN'S TESS CARMICHAEL WINS THE TOP JOCK GRAND PRIX! The last day of the Longines Masters of Paris kicked off in style with the tricky Masters Three Top Jock Grand Prix. Out of the 26 starters, ten of which qualified for the jump-off, only two managed a double clear round. The fastest was Tess Carmichael, who won the Grand Prix with Atlantis Pp Z, ahead of Claire Chaix and Paloma de Crozals. « We opened the Season IV of the Longines Masters Paris – Hong Kong – New-York series, with a European leg that kick-off with a bang! We are very proud to be celebrating the 10 year anniversary of the Longines Masters of Paris this year, we have succeeded in creating an unforgettable sports and lifestyle event. 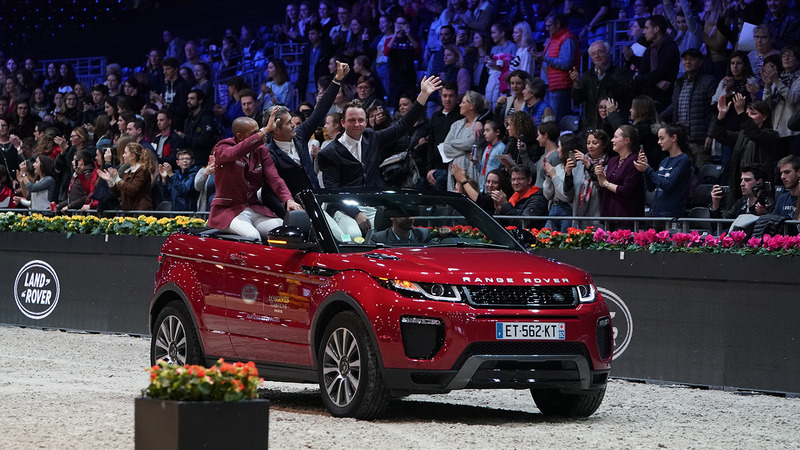 This success is thanks to our loyal partners: Our title partner Longines, but also Land Rover, la Laiterie de Montaigu, the Lido de Paris and so many others. The riders have outdone themselves this year in Paris to the satisfaction of the fans, the emotions were high and the competition fierce. And this is just the beginning of the Season IV, which will soon head to Hong-Kong from February 15th-17th, then to New York from April 25th-28th 2019 ! »Christophe Ameeuw, CEO of EEM and founder of the Longines Masters series. The European leg of the Longines Masters Season IV has concluded, next stop Hong-Kong from February 15th-17th, 2019.